When Google announced it was halting sales of its Glass device earlier this month the firm's message was upbeat: Glass was simply being "graduated" from the research stage towards commercialisation. 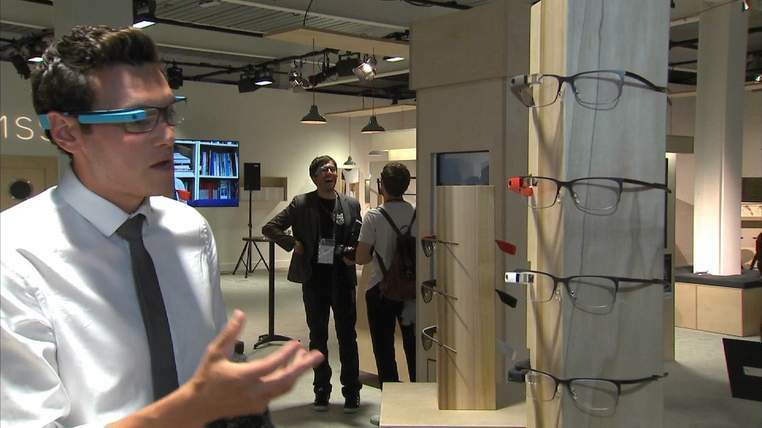 But now it has admitted for the first time that investment in the device has been cut back and management reshuffled after the eyewear failed to hit internal targets. The wearable headsets - which can be used to surf the web, check emails and record video - were discontinued on 19 January. In an analyst call following the release of quarterly earnings which fell short of forecasts, chief financial officer Patrick Pichette admitted Google Glass had hit setbacks. He said: "When teams aren't able to leap hurdles, but we think there's still a lot of promise, we might ask them to take a pause and take the time to reset their strategy, as we recently did in the case of Glass. And in those situations where projects don't have the impact we hope for, we do take the tough calls, we make the decision to cancel them, and you've seen us do this time and time again." Google's growth slowed to 7% in the final quarter of 2014 compared to the year before. The company's shares fell in after-market trading to a low of $492.22 when earnings were first announced, but recovered to $510. Its stock is down 9% over the past year, amid fears of a slowdown in desktop search and falling profit margins for online advertising.